By now, one of your conservative Facebook friends has probably sent you a video that appears to show that Planned Parenthood takes part in some sort of organ-selling scheme on the black market. Despite the fact that the video is about as deceptive as Homer Simpson’s interview with Rock Bottom, it has generated a histrionic response among people who for whatever reason* really want to force women to give birth to children they don’t want. Mediamatters.org has a solid takedown of the video, noting that GOP lawmakers like Mitch McConnell (R-KY) and Lamar Smith (R-TX) helped to legalize fetal tissue donation and that Planned Parenthood does not profit off of the sale of fetal tissue. Fetal tissue has been used in medical research for years. Dr. John Enders and Dr. Thomas Weller used fetal tissue in research that led to a polio vaccine for which they received the Nobel Prize in medicine. So if you’ve never had to live in an iron lung, thank fetal tissue research! Currently, fetal tissue is being used in research for AIDS, spinal cord injuries, muscular dystrophy and more. Anyone upset by the cavalier way the woman in the video speaks has never spent time with doctors outside of a hospital. Doctors are terrifyingly cavalier on the topic of life and death; they’re perfectly happy to talk about the most nightmarishly gory medical emergencies without a hint of disgust while snarfing on meatball subs. That’s because doctors see Cronenbergian horrors every day; it’s all part of a day’s work. But it’s pretty obvious that the people in the Center for Medical Progress, the shadowy organization responsible for the Planned Parenthood sting video, don’t have a lot of medical expertise. If they did, they wouldn’t refer to fetal tissue as “baby parts.” Fetuses aren’t babies, eggs aren’t chickens, and acorns aren’t oak trees. Nonetheless, the video’s release has given GOP senators the motivation to try to defund Planned Parenthood, yet again. If they succeed, what will happen to the millions of women and men who use Planned Parenthood’s services? What Does Planned Parenthood Actually Do? Contrary to the beliefs of the protestors who called my friend’s wife a baby-killing whore as she walked into a Planned Parenthood for a pap smear**, Planned Parenthood offers many different kinds of healthcare. Abortion-related services are a tiny part of what the organization does—a measly 3%. In 2013, Planned Parenthood performed half a million breast exams, 400,000 pap tests, and 4.5 million tests for sexually transmitted diseases like HIV. This is all provided at low cost to the patients; the organization bills patients according to their income. For most patients, there is no cheaper alternative without insurance. If Planned Parenthood were shut down, millions of low-income people would have nowhere to go for breast exams or STD tests. Crisis Pregnancy Centers are frequently staffed by people with no proper medical training only pretending to be nurses; these people tell the desperate women who come to their centers blatant lies. They rarely provide actual medicine or contraception, though they will give you a box of medically-inaccurate plastic fetuses. When Texan legislators cut funding to family planning clinics in an attempt to starve out Planned Parenthood, 60 reproductive healthcare clinics had to close their doors; only 12 of them were Planned Parenthood clinics. As a result, 250,000 women, mostly in poor rural communities, lost reproductive healthcare services. Medicaid had to cover an extra 20,000 births. Federally-funded health centers were unable to handle the sudden influx of new patients. Texas had little choice but to restore at least some of the funding a year later. Conservative senators’ crusade to defund Planned Parenthood in order to prevent federal funds from being used for abortion is especially nonsensical because, by the Hyde Amendment, it’s already illegal to use federal funds for abortion (unless the pregnancy is a result of sexual violence or threatens the health of the mother). For every public dollar spent on contraception, the government saves $5.68 in Medicaid spending on pregnancies, according to the Guttmacher Institute, a pro-choice NGO. Planned Parenthood reaches over a third of all qualifying patients, making it the biggest provider of these services… The number of abortions performed each year in America has fallen by a third since 1990. Without Planned Parenthood it would be far higher. The Senate isn’t the only place Planned Parenthood has found itself under attack. The organization is also under assault on the internet. 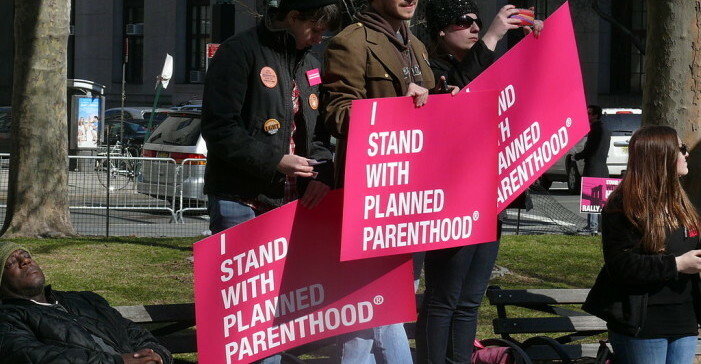 Planned Parenthood’s website shut down last week after it was hacked twice. We’ve noticed quite a lot of attention has been diverted to a supposedly malicious organization known as Planned Parenthood. The actions of this ‘federation’ are not seen as right in the eyes of the public. So here we are, the social justice warriors. But it gets worse. The group behind the hacks has posted the names and contact information of more than 300 Planned Parenthood workers on a private website. Exposing someone’s personal information online (a.k.a. doxing) can have serious consequences. A person who has been doxed might receive a deluge of death threats and other forms of harassment. O’Reilly didn’t tell anyone to do anything violent, but he did put Tiller in the public eye, and help make him the focus of a movement with a history of violence against exactly these kinds of targets (including Tiller himself, who had already been shot). In those circumstances, flinging around words like “blood on their hands,” “pardon,” “country club” and “judgment day” was sensationally irresponsible. With a legally-shady group slandering healthcare providers as baby-killing organ thieves and another group exposing employees’ personal information, Planned Parenthood’s workers may be in terrible danger. *Misogyny. The reason is misogyny. **Yes, that really happened. She ended up shouting, “I’m not pregnant! Just fat!” at them. It didn’t work.